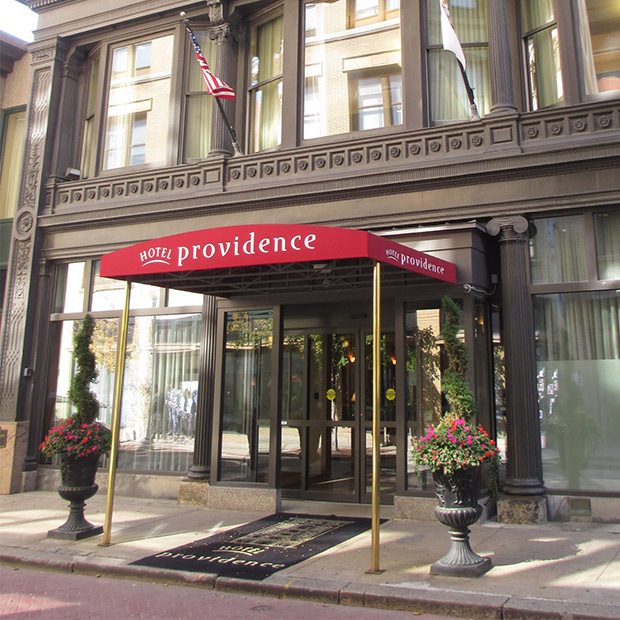 The Hotel Providence is centrally located right in the heart of Downcity, and one of my favorite places to book rooms for out-of-town friends and family. If you like your deals, it’s always worth checking their packages page to see which packages they’re offering and what works with your plans. There’s an Explore Providence Package, a College Scouting Package, or different packages for arts or traveling with your dog. Yes, the Hotel Providence is a dog-friendly hotel.